Nose Revision Surgery and Surgeons: Is there a point where it makes more sense to replace & rebuild the entire alar (lower) nasal cartilage? 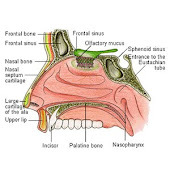 Is there a point where it makes more sense to replace & rebuild the entire alar (lower) nasal cartilage? At one of my nose revision consults, a well known facial plastic surgeon commented to me how he has removed many grafts from patients noses, because they were over-grafted, leaving the nose too bulky & esthetically unpleasing. He also said he has a rule that when more then 50% of the cartilage is missing (normally due to excessive removal from previous surgery) he decides to replace the whole thing, which although is more time consuming and requires more precise measuring results in a much more natural looking and functional nose compared to adding a variety of different sized grafts to the existing residual nose cartilage throughout the nose. I assume that if the remaining cartilage is of poor quality or too small it would be comparable to a weak foundation therefore affecting the stability & position of newly grafted cartilage anchored and extending from it. He had shown me before/after pictures of such cases and there was no question the results of his work was an improvement. Since no other surgeon ever mentioned this to me I began to search online to see if this rule has been documented by other surgeons. While, I didn't find anything that specifically mentions this rule in regards to lower or upper cartilage of the nose, I did find this rule has been applied to when more then 50% of a subunit of the nose is missing. Here is what i was able to find. "In modern times, the practice of reconstruction has been advanced by the work of surgeons such as Burget and Menick,' who proposed the subunit principle of nasal reconstruction. 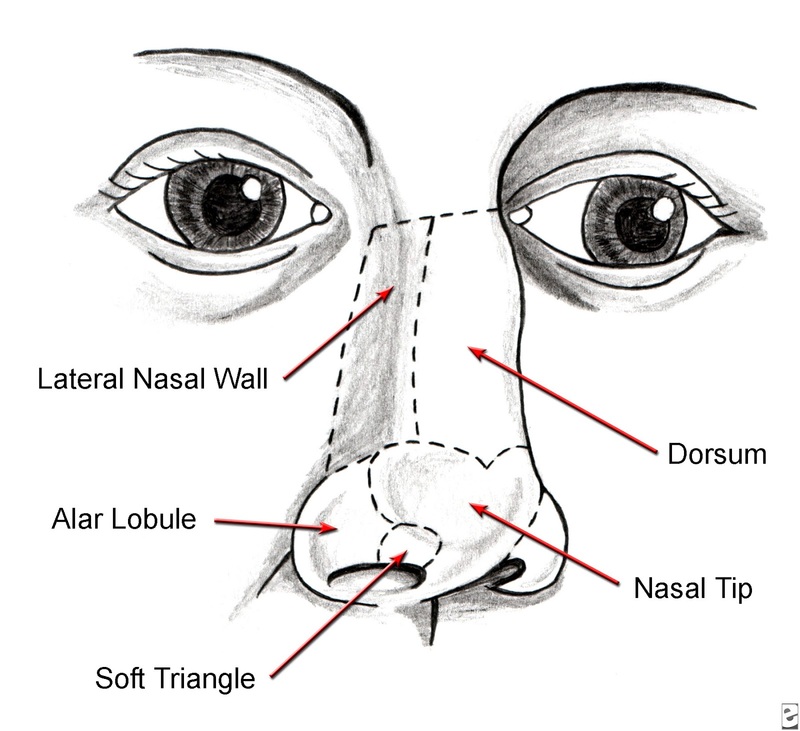 They found that changes in soft tissue and bony contours of the nose resulted in distinct, consistent nasal subunits, including the dorsum, tip, columella, 2 lateral side walls, 2 alae, and 2 soft tissue triangles! These authors found that if greater than 50% of an aesthetic subunit of the nose were missing, it was better to resect the rest of the subunit and reconstruct it in its entirety." "In 1985, they published the first in a series of articles applying the subunit concept to nasal reconstruction.' In patients with 50% or greater subunit losses, these authors performed esthetically superior reconstruction by removing the remaining portion of the subunit and reconstructing the entire subunit with a skin graft or flap. Burget and Menick later supported the prin­ciple of subunit nasal reconstruction and emphasized that like tissue should be replaced by like tissue." In regards to specifically replacing the entire alar cartilage (lower nasal cartilage) the only thing that I was able to find was something I had discussed a long while ago in my post on 'The mystery of all those different nose grafts (Oct 18,2010)" which was the seagull wing graft. However the criteria for determining the decision to replace the alar cartilage with this replacement graft seems to be determined differently then the 50% rule, but not necessarily since the author doesn't mention what amount constitutes "severe signs of overresection...". He states: "The seagull wing technique is indicated in cases in which there are severe signs of overresection of the lower lateral cartilages. Usually, it is recommended for patients who present with a variety of aesthetic and functional complaints, eg, insufficiency of the external nasal valve, alar pinch, or an an intraoperative diagnosis of overresected lower lateral cartilages. In most cases, these indications are associated with poor tip definition and projection and alar retraction. The technique can also be used to lengthen an overrotated and short nose." Since the nasal tip subunit consists of the alar lower cartilage, perhaps this is why that surgeon i had seen applies the 50% rule. If any surgeon reading this blog has more knowledge to add to this subject please feel free to contact me or leave a comment.